On 29th of December 1958, Chuck got married to Dianne Holechek. As a loving husband and wife, they welcomed their first child together in 1963. They were happily married but this married life ended in a divorce in 1989. While Chuck was still married to Dianne Holechek, he has an extramarital affair with his girlfriend. From this extra affair, he became the father of a daughter named Dina in 1964. He met his daughter Dina when she was 26. Chuck Norris spends a Single life for several years after his first married life dissolved. Later he was found with Gena O’Kelly. Gena O’Kelly is a former model and an actress. They got married on 28th of November 1998. They have two children, twins Dakota Alan and Danilee Kelly (born 30 August 2001). 1 Who is Chuck Norris? 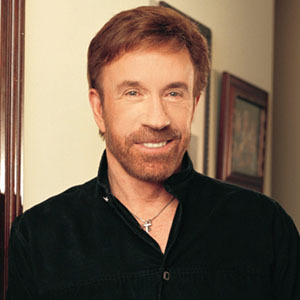 Chuck Norris is an American martial artist, actor, film producer and screenwriter. Chuck has starred in such action films as the return of the Dragon and Missing in Action. He also starred on the hit TV series Walker, Texas Ranger. Chuck Norris was born on 10 March 1940 in Ryan, Oklahoma, United States of America. His nationality is American and ethnicity is mixed(English, along with Scottish, Welsh, and German). He was born to Wilma (nee Scarberry) and Ray Norris, who was a World War II Army Soldier, a mechanic, bus driver, and truck driver. Chuck has stated that he has Irish and Cherokee roots. Chuck was named after Carlos Berry, his father’s minister. He has two younger brothers, Weiland (1943-1970; killed in Vietnam) and Aaron ( a Hollywood producer). When Norris was sixteen, his parents divorced, and he later relocated Prairie Village, Kansas, and then to Torrance, Calfornia, with his mother and brothers. The oldest of three boys, Chuck Norris once described himself as “the shy kid who never excelled at anything in school”. His father was an alcoholic who all but disappeared from Norri’s life after his parents divorced. Chuck Norris attended “North Torrance High School”. Chuck began to live with his mother. Because of his poor financial condition, he suffered a lot. When he was 18 years old he joined United States Air Force as Air Policeman. He was sent to Osan Air Base in South Korea and there he became fascinated in tangsudo. He also served at the March Air Force Base and then 1962, he received an honorable discharge. To express his talent I martial arts, he opened karate schools in several parts of the United States. Initially, his start in martial arts was poor but later in 1967, he won the match against Lewis, Skipper Mullins, Arnold Urquidez, Victor Moore and much more. In 1969, Chuck became the Champion of Karate’s Triple Crown. In 1969, he made his acting debut by starring in the movie “The Wrecking Crew”. In 1972, he portrayed the role of Colt in the movie “Way of the Dragon”. In 1984, he appeared in the movie Missing I Action and the next year in Missing in Action 2: The Beginning. Chuch Norris Net Worth is $70 Million and his salary is $250,000. Chuck has been always open about his personal life so there has been no such rumors and controversies over Chuck whether it is marital rumors, affairs or any other. Chuck has a height of 5 feet 8.5 inches and weighs around 77 kg. He has hazel eye color and brown hair color. His shoe size is 9(US). He is not active on social media. He uses Facebook and has over 6.25 million followers. He has more than 188k followers on Instagram and he has over 126k followers on Twitter. Also know more about the early life, career, net worth, relationships, and controversies of other artist, actor, film producer and screenwriter including Tim Robbins, Guillermo del Toro, Jake Paltrow, Matt Damon, Ray McKinnon.